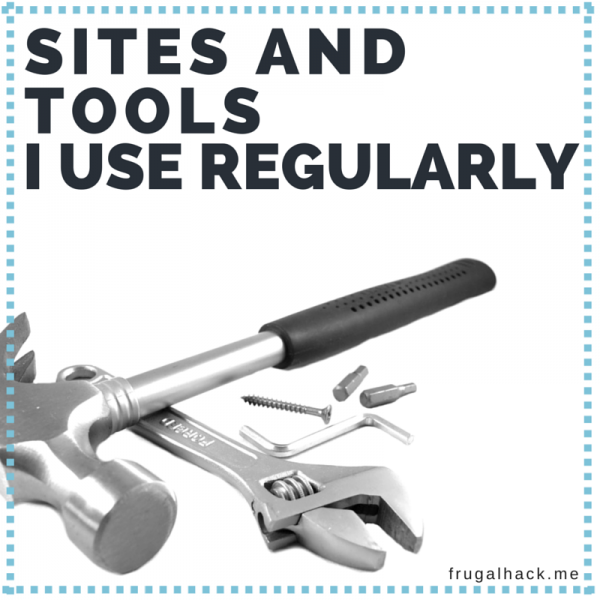 There are a lot of great sites and tools available to us that can make travel, shopping, and many other things much easier. The hard part is finding all of these great resources in the abyss that is the internet. To help with that, I’ve compiled a list of websites and tools that I visit and use on a daily basis. My hope is that you’ll find something you didn’t know about that makes your life easier. Also, if you have suggestions for me to add to the list, please let me know in the comments. Disclaimer: The nature of this post is to share links to other websites, which means there will be affiliate links. I’m not adding them to the list specifically because I earn something from them, but because I use them often. You don’t have to use my affiliate link(s), you can instead just search the site on Google, but I really appreciate when you do use my link(s). TripIt – TripIt is my favorite app to keep track of my trips. It automatically scans your email for flight and hotel bookings, it reminds you of upcoming trips, it helps you find seats on flights, and much more. There is a free version and a Pro version, but there’s a free 30 day trial of the Pro version, so you can see if it’s right for you. You get a free Pro account if you have a Barclaycard Arrival+. Tep Wireless Hotspot – This is a wireless mobile hotspot that you can use anywhere in the world. From my research it’s the most affordable option for international data use. maps.me – This is a free (that was promotional) mobile app that lets you download maps for offline use. Globo – Globo is a customizable app that displays the current local time for every city around the world. It also lets you set an alarm for any city and gives you the local weather. It’s perfect if you plan to travel multiple time zones in one trip. Award Mapper – With this app, you can see what hotels are available in an area and how many points each one costs. Award Wallet – Award Wallet is one of the best points and miles trackers out there. Transfer Partner Master List – Frequent Miler created this great resource for transferring points. SeatGuru – Are you interested in seeing what type of seats your flight has or do you want to find a flight that specifically has lay flat seats? If so, this is the place to do it. As a side note, TripIt has a SeatGuru link on every itinerary, which is one more reason why it’s awesome! ITA Matrix – This is the professional search engine for flights. It requires a bit of know how, but it’s a very powerful resource. Google Flights – Google Flights uses the ITA Matrix, but instead of complexity, it uses simplicity and speed. Kayak – Kayak is my favorite trip search engine. TripAdvisor – This site can give you restaurant recommendations, reviews on hotels, offline maps via their apps and much much more. Frequent Flyer Bonuses – Are you wondering what hotel bonuses are going on right now? This is the place to check, if you are. Top Travel Accessories – This post outlines my favorite travel accessories and necessities. AutoSlash – I only learned about this site recently, so I haven’t tried it yet, but it sounds like an awesome way to get cheap car rentals. Uber – The easiest way to get form point A to point B while traveling. Big Crumbs – Big Crumbs doesn’t always have the best rate, but they offer CrumbShares which gives you the opportunity to earn big if they every sell the company. TopCashBack – This is one of the best portals around. They often have best rates. ShopAtHome – ShopAtHome has good rates, but what makes them great is their guarantee. If you find a better portal for a website, they’ll match it and increase it by 10%. Fat Wallet – Fat Wallet very rarely offers the best rate, but they have a forum built in, which is very handy. EBates – EBates is just like Fat Wallet (minus the forum). Coupon Cactus – I don’t have a lot of experience with Coupon Cactus, but the experience I do have has been good. BeFrugal – BeFrugal is usually pretty good. Mr. Rebates – I’ve been using Mr. Rebates a lot lately, because their rates have been very good. UPromise – UPromise is usually really good, but they take a long time to post your money. Saving Star – I’ve been using Saving Star a lot lately also, and they seem to post fast. Discover Deals – Discover’s portal requires a Discover card, but it’s one of the best portals out there! Slickdeals – Slickdeals is by far my favorite deal site. Their forums are where they really shine. You can find some great stuff there! Fat Wallet – Fat Wallet isn’t only a portal, but it’s also deal site. They have a great following and a lot of deals to post. Dealspl.us – Dealspl.us has been going down hill lately compared to the above two, but it’s still a good deal site. meh – This site is run by the guy who used to run woot.com before Amazon bought it. Amazon Lightning Deals – Amazon has great prices already, but their lightning deals are even better. Deal News – This is similar to Dealspl.us, but it occasionally has a gem worth taking advantage of. CashBackMonitor – See which portal has the best rate(s). Offersbot.io – Register for every Amex Sync offer automatically. Bluebird – Who doesn’t love Bluebird? Serve – Serve, just like Bluebird, is an awesome prepaid product from American Express. REDcard – REDcard is also an Amex product that works great for MS.
Chime – Chime has few MS opportunities now a days, but they have some great offers. Visa Buxx – This is a great card to supplement your MS.
Credit Karma – This is one of the best sites to track your credit score. Credit Sesame – Credit Sesame is another great credit score tracker. You can find out for about credit tracking here. Google Drive – I use Google Drive’s Sheets for tracking all my MS.
YNAB – Just like with Google Drive, I use YNAB for budgeting and tracking my manufactured spending. Frequent Miler’s Lab – This is a great way to get community information on whether a certain MS opportunity works. Visa Supplier Locator – You can check what a store or retailer codes as when using a Visa card. Fuel Rewards Network – Earn money off per gallon at Shell. There’s a great sign-up bonus going on right now where you can get $0.60 off per gallon. Amazon Prime – Amazon Prime is awesome. They offer unlimited photo storage, Prime videos, free 2-day shipping, and more. I don’t know what I would do without it. ShopRunner – ShopRunner offers two-day shipping at 70+ online stores. The best part is that it’s free for Amex card holders. IFTTT – If This Then That give you the ability to get a lot of tasks completed autonomously.